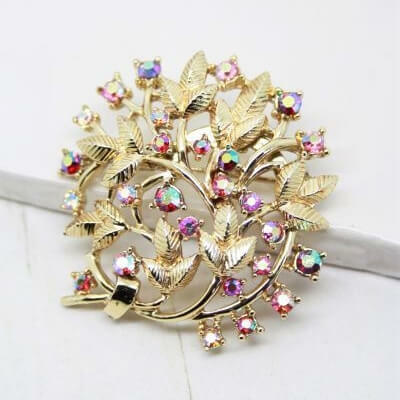 Description: This beautiful genuine vintage 1960s brooch features sparkly red and pink Aurora Borealis rhinestones in a gold plated floral leaf setting. The base colour of the stones are red and pink, although they reflect many other shades, including blue, green and purple. Measuring 4.8cm at tallest point, and in wonderful condition showing slight to no wear. 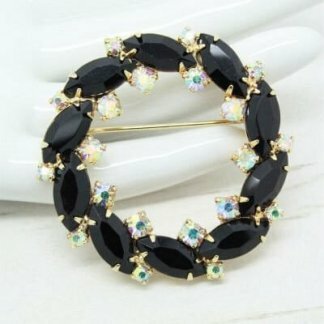 The brooch appears unworn. 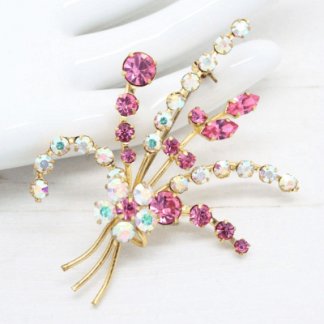 Bright and shiny – This brooch stands out among the crowd. Complete with a secure roll lock clasp to the back. 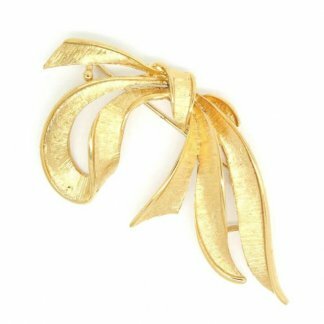 Perfect for wearing with any outfit, attach to the lapel of a jacket, collar or bag for an individual look.